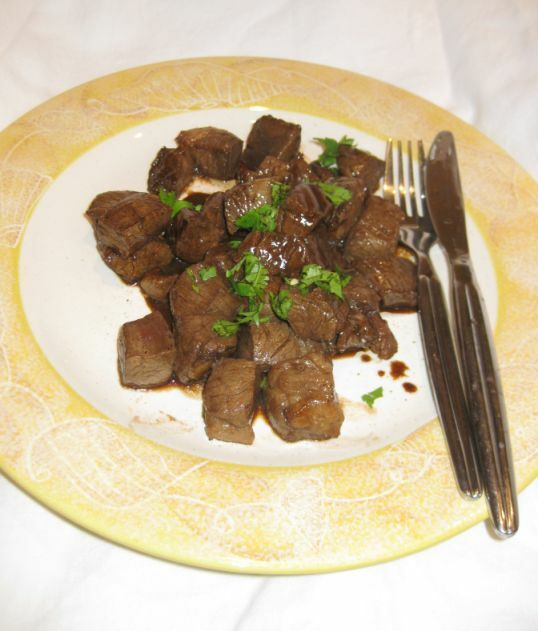 Bò lúc lắc is a popular Vietnamese dish that is so easy and fast to prepare. 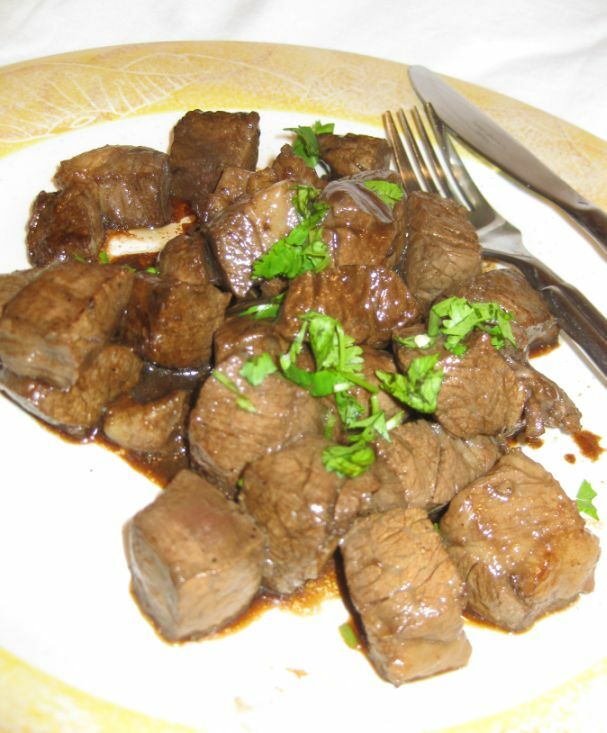 The dish is super simple with amazing robust flavors of tender, moist, cubed filet mignon! 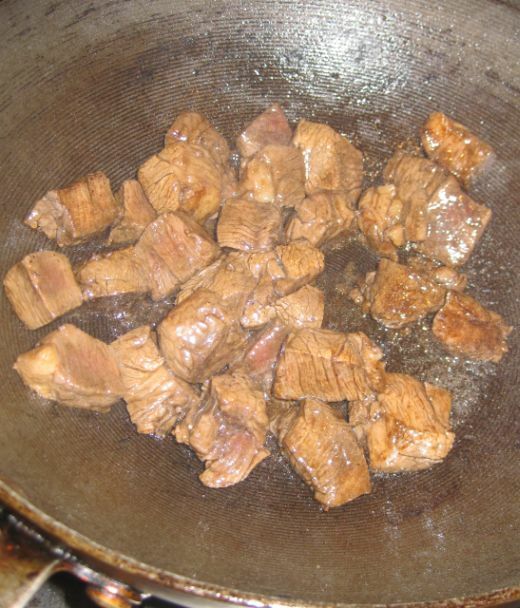 Lúc lắc means shaking in Vietnamese and what it refers to is when the beef is tossed in the wok or pan it is shaken back and forth to cook the meet. 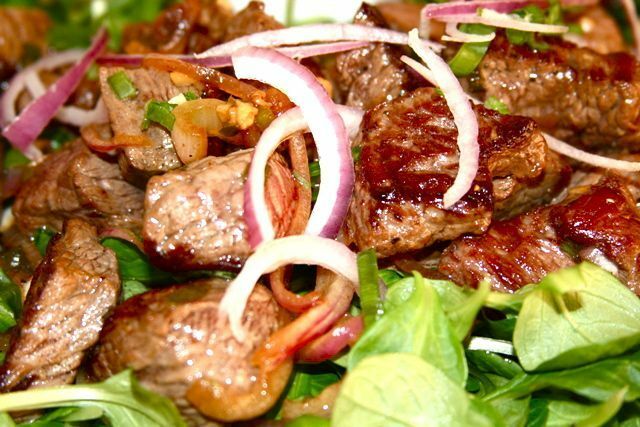 In America beef are usually eaten in form of a big steak but in Asia the beef is cut into pieces so it is easier to share. Kevin does not care for Vietnamese food but he adores Bò lúc lắc. If we go to a Vietnamese restaurany this is probably what he will order. 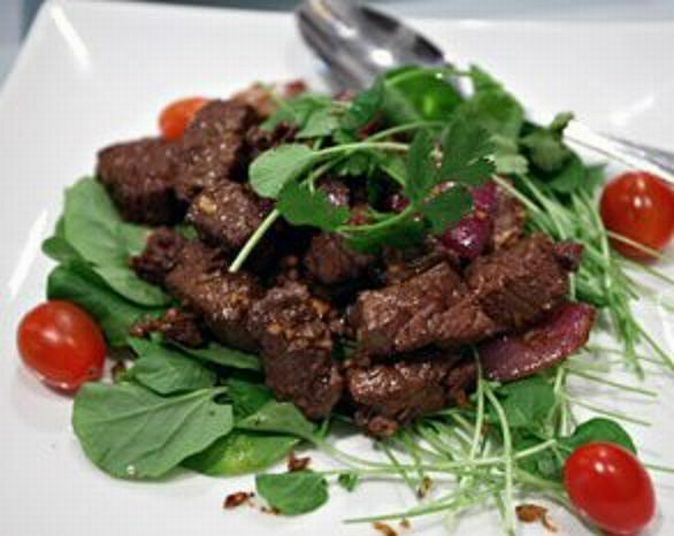 ..you can served the Bò lúc lắc on a bed of watercress, tomatoes, sliced red onion. Either way it is delicious! 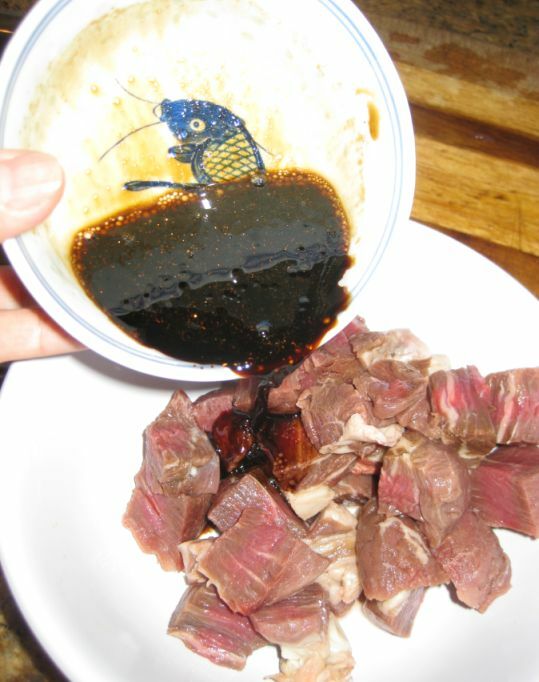 Pour the marinade on top of the beef. 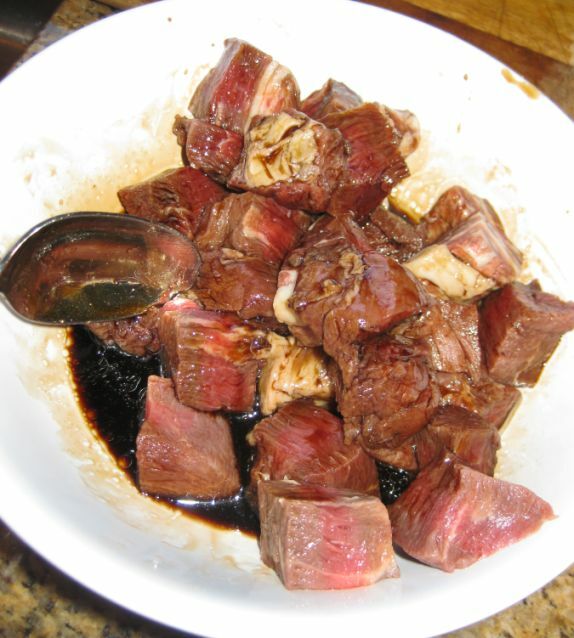 Mix it well and let it marinate for a good 15 to 30 minutes. On a hot pan with oil (make sure the oil is super hot). 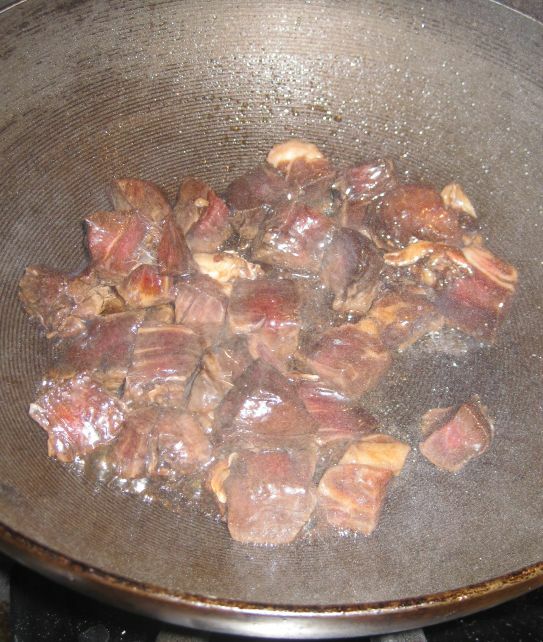 Pour the meat inside the pan and do not stir for about a minute. 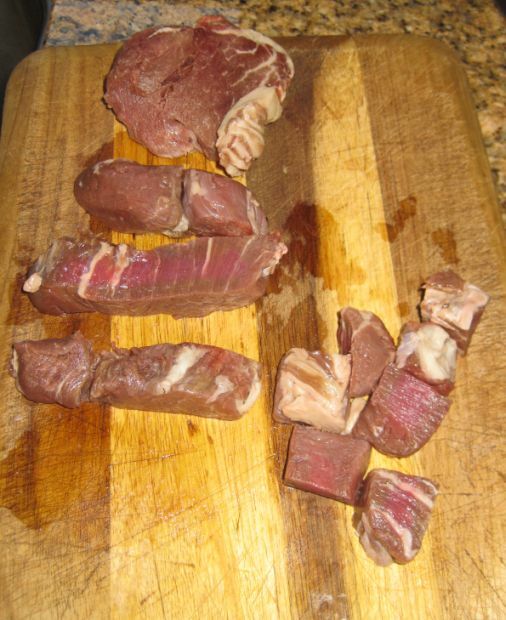 Next stir the meat very briefly until all sides of the beef is cooked. 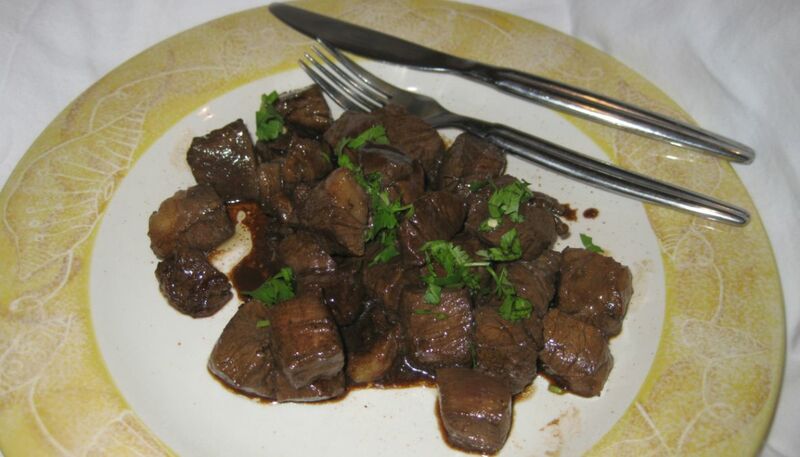 Do not overcook because you want the meat to be medium rare so the beef will stay tender.